Happy Friday! This is such an easy fall look (and it is so comfortable). They OTK boots are becoming a favorite of mine and you can't beat the price! 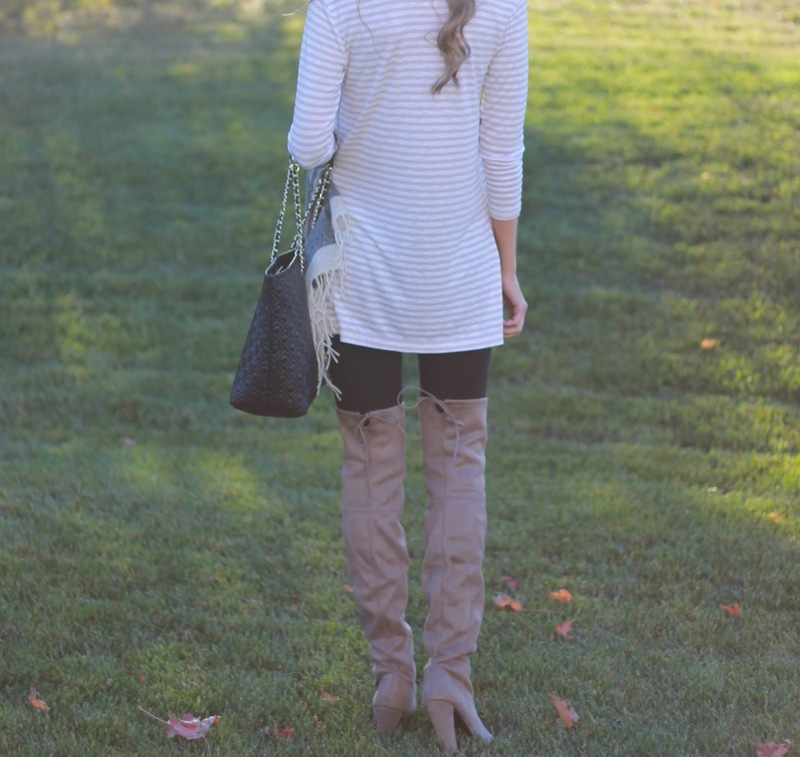 I love wearing them with leggings and this tunic is SO comfortable. I also love this lightweight Madewell scarf. 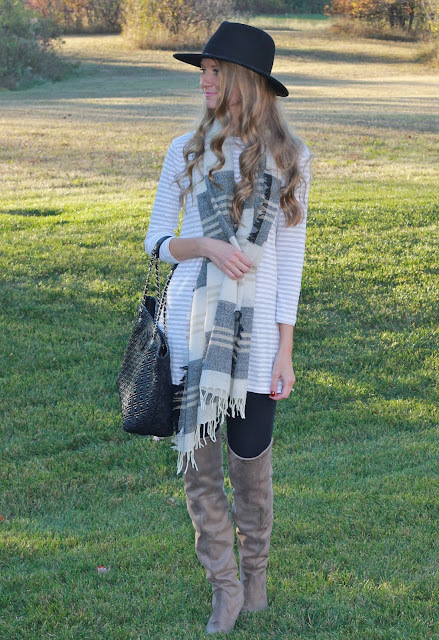 The neutral and black go with just about anything. Hope you all have a wonderful weekend!